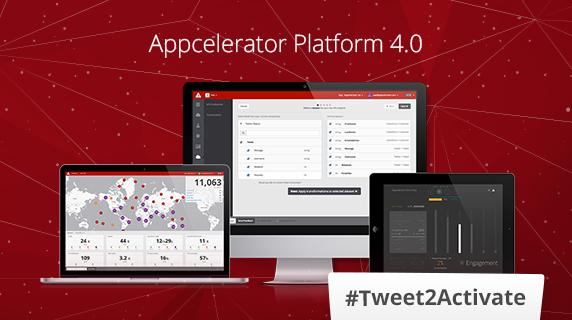 Earlier this month, we announced Appcelerator Platform 4.0, which includes our latest innovation, Arrow, a slick new opinionated framework for building and running APIs. With over 15,000 waitlist sign-ups within the first few days, we decided to allow a select few to jump to the top of the list and straight to activation. All you have to do is tweet a creative reason for why you want, need or deserve early activation using the hashtag, #Tweet2Activate. We’ve already seen dozens of community members go out on a limb to share why they can’t wait. We are continuing #Tweet2Activate for the next week or two after which we expect to fully open up the new Platform to everyone. Are you ready for early access to 4.0? Tweet using the hashtag #Tweet2Activate and tell us why.